Teaching in Spain is a programme that enables students to travel to Spain to teach English, German or French within the home of a host family. 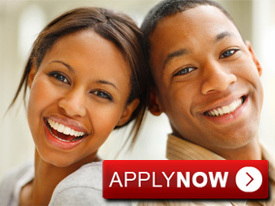 Placements are for a minimum of three months, and are suitable for undergraduates, graduates and gap year students. This is a great opportunity to experience the Spanish culture by living with a Spanish family, while gaining valuable work and travel experience. An added bonus is of course that you will learn at least the basics of the Spanish language, if not become relatively fluent in the language, which always looks fantastic on a CV or resume. It is a wonderful chance to see mainland Spain and take advantage of the cultural experience. You will work for 15 hours per week, Monday to Friday. Eighty percent of participating host families live in and around Madrid, and the rest live in other areas of Spain like Santander, Leon, Granada, Gijon, etc. Apart from teaching the host family your native language, you will be expected to participate in the family’s activities. The minimum stay for the language assistant programme is 3 months, although you may choose to stay for 12 months. If you are a smoker, you must be willing to abstain while in the host family’s home, unless of course they give you permission. You will be teaching mainly in the evenings, either between 5 pm and 8 pm, or between 6 pm and 9 pm. The rest of your day will be free, as will your weekends. You will have your own room and full board for the duration of the programme. You’ll be expected to keep your room tidy and in a reasonable state of cleanliness, and you’re responsible for phone, laundry, and other personal expenses. You should respect the rules and routines of the host family and be polite to your hosts. "Thank you for all the info, you have been really really helpful! I got through to my family on the mobile this evening and I am going to meet up with them in London while they're here. They sounded really nice, thanks again. I had to think on my toes speaking Spanish on the phone"